Draft: 2014, Los Angeles Dodgers, 38th rd. Caleb Paul Ferguson… graduated from West Jefferson High School (OH)…selected by the Dodgers in the 38th round of the 2014 First-Year Draft. In his first big league season, he went 7-2 with two saves and posted a 3.49 ERA in 29 games (three starts), while limiting the opposition to a .230 average ... Transitioned into a bullpen role after three starts and had success as a relief pitcher, putting up a 7-1 record with a 2.35 ERA (10 ER /38.1 IP) and two saves, striking out 47 batters against only six walks ... Limited opposing hitters to a .230 batting average, including a .217 mark against lefties (15-for-69)… opponents went just 6-for-33 (.182) with runners in scoring position ... In six postseason relief appearances in the NLDS and NLCS, he tossed 3.0 scoreless innings while striking out three batters and allowing only one walk ... In 10 combined starts with Triple-A Oklahoma City and Double-A Tulsa, went 3-0 with a 1.53 ERA (8 ER /47.0 IP) and held the opposition to a .213 average…struck out 52 batters against just 17 walks over 47.0 innings, while posting a 1.15 WHIP ... Started the season with the Tulsa Drillers, going 3-0 with a 1.38 ERA (6 ER /39.0 IP) and limiting hitters to a .217 average, while striking out 40 against 10 walks in eight starts ... Promoted to Oklahoma City on May 26 and made his Triple-A debut that day, allowing just three hits over 5.0 innings and striking out 10 batters against three walks against Nashville…in two starts with the OKC Dodgers, he posted a 2.25 ERA (2 ER /8.0 IP) with 12 strikeouts against seven walks. Spent the entire season with Single-A Rancho Cucamonga, posting a 9-4 record with a 2.87 ERA (39 ER /122.1 IP) and held batters to a .246 average ... Struck out 140 batters against 55 walks in 122.1 innings…struck out a career-high 11 batters on August 1 against Modesto against just a pair of walks ... Named a MiLB.com Organizational All-Star, a Baseball America High Class-A All-Star and a Post and Mid-Season All-Star in 2017 with the Quakes. In 14 combined games (12 starts) with Rookie-level AZL Dodgers, Rookie-advanced Ogden and Single-A Great Lakes Loons, he went 3-4 with a 2.31 ERA (17 ER /66.1 IP) and held hitters to a .227 average…struck out 63 combined batters against just five walks in 66.1 innings and posted a 0.93 WHIP ... Started the season with the AZL Dodgers, going 1-0 with a 1.50 ERA (1 ER /6.0 IP) and struck out 11 without issuing a walk…promoted to Ogden on July 5 and made two starts going 1-0 with a 0.90 ERA (1 ER /10 IP) ... Named Pioneer League Pitcher of the Week in the period ending July 17 with Rookie-advanced Ogden Raptors ... Promoted to Great Lakes on July 16 and spent the rest of the season with the Loons, going 1-4 with a 2.68 ERA (15 ER /50.1 IP) in 10 starts…totaled 41 strikeouts against three walks over 50.1 innings. Spent entire season rehabbing from surgery while on the disabled list of the AZL Dodgers…underwent Tommy John surgery in May as a high school senior prior to being picked in the 38th round by the Dodgers in the First-Year Player Draft. 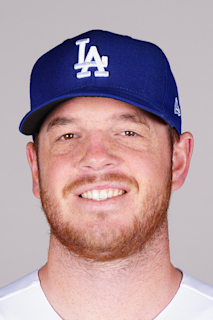 June 12, 2018 Los Angeles Dodgers recalled LHP Caleb Ferguson from Oklahoma City Dodgers. June 7, 2018 Los Angeles Dodgers optioned LHP Caleb Ferguson to Oklahoma City Dodgers. June 6, 2018 Los Angeles Dodgers selected the contract of Caleb Ferguson from Oklahoma City Dodgers. May 26, 2018 LHP Caleb Ferguson assigned to Oklahoma City Dodgers from Tulsa Drillers. May 16, 2018 Tulsa Drillers placed LHP Caleb Ferguson on the temporarily inactive list. April 2, 2018 LHP Caleb Ferguson assigned to Tulsa Drillers from Rancho Cucamonga Quakes. September 1, 2017 Rancho Cucamonga Quakes activated LHP Caleb Ferguson from the 7-day disabled list. August 19, 2017 Rancho Cucamonga Quakes placed LHP Caleb Ferguson on the 7-day disabled list. April 5, 2017 LHP Caleb Ferguson assigned to Rancho Cucamonga Quakes from Great Lakes Loons. July 16, 2016 LHP Caleb Ferguson assigned to Great Lakes Loons from Ogden Raptors. July 5, 2016 LHP Caleb Ferguson assigned to Ogden Raptors from AZL Dodgers. September 17, 2014 AZL Dodgers activated LHP Caleb Ferguson from the 60-day disabled list. July 7, 2014 LHP Caleb Ferguson assigned to AZL Dodgers. July 3, 2014 Los Angeles Dodgers signed LHP Caleb Ferguson.